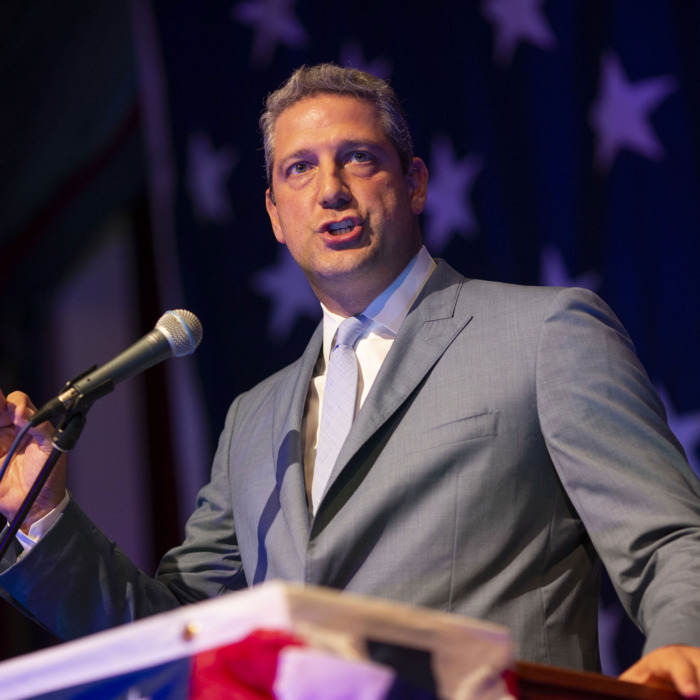 For those Democrats who are obsessed with “electability” and convinced prying northeastern-midwestern states from Pennsylvania to Wisconsin away from Donald Trump is the only way to beat him, veteran Ohio congressman Tim Ryan’s announcement of his candidacy could be great news. For others, he may simply look like yet another white male joining an overcrowded field, and bringing to the table a dubious record with occasionally jarring conservative undertones. There is no question Ryan comes out of central casting for a candidate aiming strictly at white working-class men in places very much like his own base of Youngstown, Ohio, where he apprenticed with the famously eccentric but consistently bitter enemy of economic globalism James Traficant. (A bribery conviction landed the old goofball in the hoosegow; Ryan took his House seat in 2002). For years in Congress he exemplified the sort of economic populist/social conservative blend that once characterized most Catholic Democrats from the so-called Rust Belt, combining attacks on the corporations that were moving manufacturing jobs out of the region (and the country) with support for gun rights and abortion restrictions. More recently Ryan has brought his views on cultural issues more or less into line with his party’s Zeitgeist (splitting with the National Rifle Association after the Newtown massacre of 2012, and declaring himself “pro-choice” in 2015). But he annoyed many traditional liberals (and feminists, too) with an abrasive 2017 challenge to Nancy Pelosi’s party leadership position. And then he joined another revolt against Pelosi launched by House Democratic Caucus “moderates” in 2018. As someone who was bullish on Sherrod Brown's chances, I'd be somewhat bullish on Ryan as well—he has a more liberal voting record than you'd think for someone from a district that has quickly gone from blue to purple-ish—but I think his stance against Pelosi will hurt him. For that matter, Ryan may be counting on Joe Biden to decide against running, or to fade in the heat of the scrutiny he’s undergoing. In theory at least, if Joe Says No, then Ryan could compete with Amy Klobuchar and Pete Buttigieg for the mantle of Authentic Midwesterner Who Gets It, and partisans transfixed by fear of losing the same heartland states to Trump again might give him a listen. Ryan purportedly also wants to go after the “yoga vote,” according to one report. He wrote a book in 2012 called “A Mindful Nation: How a Simple Practice Can Help Us Reduce Stress, Improve Performance, and Recapture the American Spirit,” which includes chapters on “how mindfulness can improve performance and build resiliency for our military and first responders” and “how mindfulness can help us rediscover our values and reshape our economy.” Ryan’s intention seems to be to apply the mindfulness mindset so often associated with wealthy yuppie types to the issues and concerns of working class Americans. In 2018 FiveThirtyEight staffers discussed what exactly the “yoga vote” might actually look like electorally and concluded it’d rely on suburban white women riled up over Trump. Ryan might see a path to victory by appealing both to working class voters and those women who fueled the Democrats’ 2018 midterm victories in House seats. We’ll see soon enough how well that goes over in Iowa. But for now, the one thing we know is that Ryan has expanded the official Democratic 2020 field to 17 and counting.